Richard Florida, PhD, recipient of the inaugural Philadelphia Fellowship, discussed today’s urban challenges. The interrelationships of urbanization, technological innovation, demographic trends and population health fused at the Philadelphia Fellowship on Inclusion and Equity Symposium and Smart and Healthy Cities Forum. “Smart cities are a new paradigm in the development of urban areas with the focus on utilizing technological advances to operate and enhance the wide range of city services, from ensuring adequate electricity to solid-waste management, as well as providing widespread mobility and connectivity for residents,” said Barbara Klinkhammer, executive dean of the College of Architecture and the Built Environment, which presented the Forum. 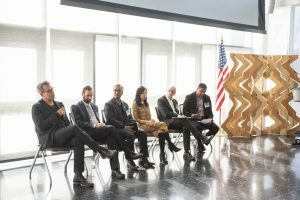 Leaders from academia, science, entrepreneurship, architecture, urban planning, engineering and city government converged at Jefferson this week for the inaugural two-day event. Panelists at the Forum came from academia, science, entrepreneurship, architecture, urban planning, engineering and city government. Sessions during the Forum on Jefferson’s East Falls Campus focused on understanding the impact of smart cities through policies, economics, big data environment and population; and driving change with population health, technological innovation, making buildings and entrepreneurs. 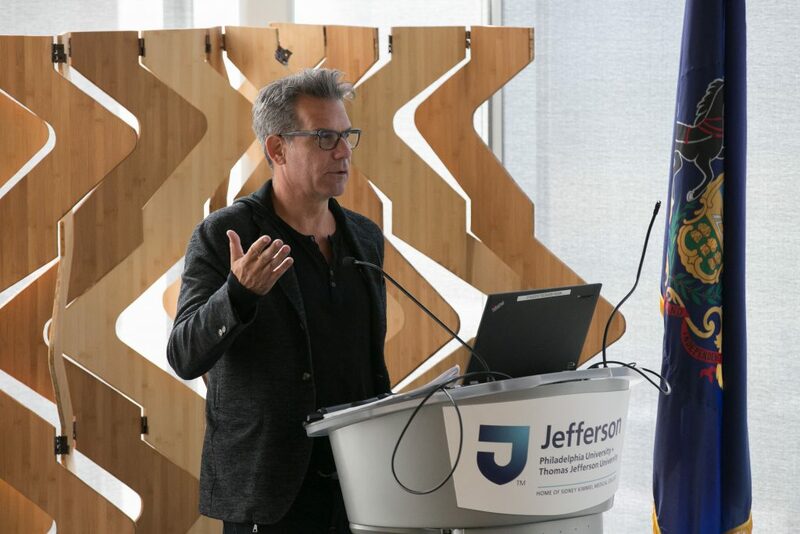 At the Symposium on Center City Campus, renowned urbanist Richard Florida, PhD, delivered the keynote, “The Case for Inclusive Prosperity in Philadelphia.” He covered today’s urban challenges, which require a new strategy centered on inclusive prosperity. A distinguished scholar known for his groundbreaking research on urban demographic changes, Dr. Florida received the inaugural Philadelphia Fellowship—a collaborative program initiated by Jefferson, Drexel University and the University City Science Center. Mark L. Tykocinski, MD, provost and executive vice president for academic affairs at Jefferson, said this important event demonstrates the synergy developed by the merger of Philadelphia University and Thomas Jefferson University and shows the potential of uniting complementary professional areas of expertise. “This is exactly what we dreamed of,” said Dr. Tykocinski, the Anthony F. and Gertrude M. DePalma Dean of the Sidney Kimmel Medical College. The University’s proposed Institute for Smart and Healthy Cities will support research and education, focusing on transforming urban environments into smart and healthy cities through learning, teaching, research, community and industry engagement. The effort is being led by Klinkhammer and Jefferson architecture professor Edgar Stach.